U.S. President Donald Trump says he will make a major announcement about the government shutdown and border security during an address to the nation Saturday. 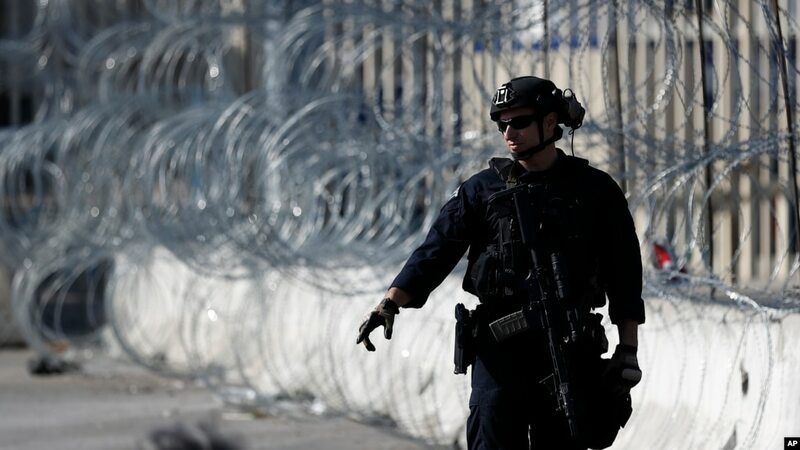 A standoff between Democrats and Republicans over funding for construction of a wall along the U.S.-Mexico border led to a partial government shutdown that is entering its fifth week. 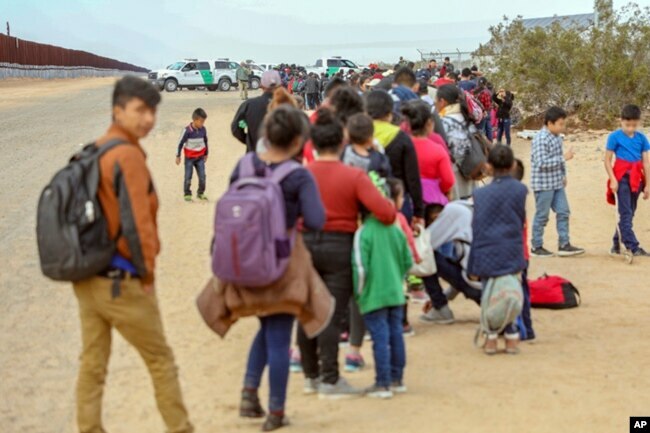 This Jan. 14, 2019, photo released by U.S. Customs and Border Protection shows some of 376 Central Americans arrested in southwest Arizona for crossing into the United States illegally. They used holes dug under a barrier to cross in multiple spots. The dispute over the wall and the government shutdown also led to a dispute between Trump and House Speaker Nancy Pelosi over her plans to travel to Afghanistan. Pelosi accused the White House on Friday of leaking information about her planned trip to fly commercially to Afghanistan after Trump denied Pelosi the use of a military plane for the trip. Pelosi said it was “very irresponsible on the part of the president” to release details about her sensitive travel plans, which the State Department said significantly increased the security threat on the ground. The White House denied leaking Pelosi’s flight plans. 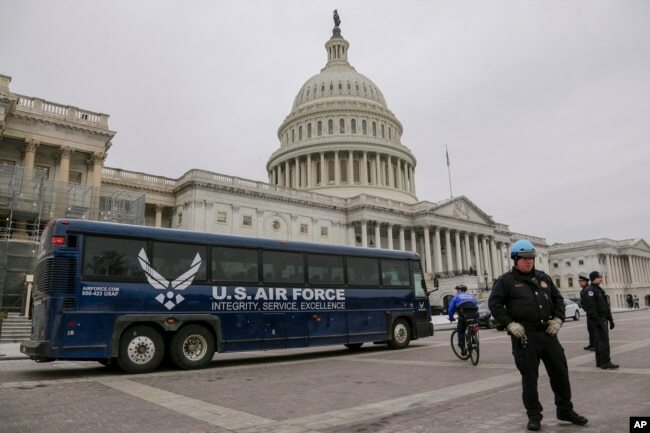 An Air Force bus waits on the plaza of the Capitol after President Donald Trump used his executive power to deny military aircraft to House Speaker Nancy Pelosi just before she was depart to visit troops abroad, on Capitol Hill in Washington, Jan. 17, 2019. Trump on Thursday revoked the use of a military plane for Pelosi and Democratic members of Congress to fly to Afghanistan to visit U.S. troops and to Brussels to meet with NATO allies. It was the latest maneuver in a bitter political battle over the shutdown, which is now the longest such government stoppage in U.S. history. A spokesperson for Pelosi’s office said the trip would have provided “critical national security and intelligence briefings” as well as served as an opportunity for Pelosi to thank the troops. The president’s letter did not directly address Pelosi’s call Wednesday for Trump to delay his scheduled Jan. 29 State of the Union address until government funding was restored and the shutdown ended. 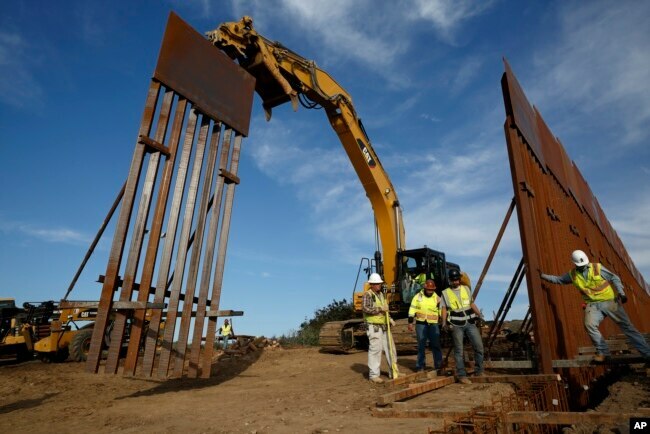 Construction crews install new border wall sections, Jan. 9, 2019, seen from Tijuana, Mexico. The back-and-forth between the White House and the speaker indicated there was no end in sight to the standoff. Democrats insist they will negotiate stronger, more effective border security measures once the government reopens, but that a border wall would be wasteful, ineffective and a blight on America’s image. Later Thursday, Trump also canceled a planned trip by a U.S. delegation to the World Economic Forum in Davos, Switzerland. The delegation, consisting of Treasury Secretary Steve Mnuchin, Secretary of State Mike Pompeo, Secretary of Commerce Wilbur Ross, U.S. Trade Representative Robert Lighthizer and presidential assistant Chris Liddell, was scheduled to travel next week. White House press secretary Sarah Sanders said the president wanted to make sure “his team can assist as needed” during the government shutdown. Hundreds of thousands of federal workers missed a paycheck last week and are set to miss another next week. “By disinviting POTUS for SOTU, Pelosi erased any pretext for her unwillingness to negotiate an end to the shutdown. It is personal, petty and vindictive,” Sen. John Cornyn of Texas tweeted Thursday.